The Gentleman Crafter: Eileen's Canning Jar Organizer! Just wanted to stop in and say, THANKS FOR COMING TONIGHT! I am so thankful that you took some time away to come over to Take Out Tuesday's Ustream show! 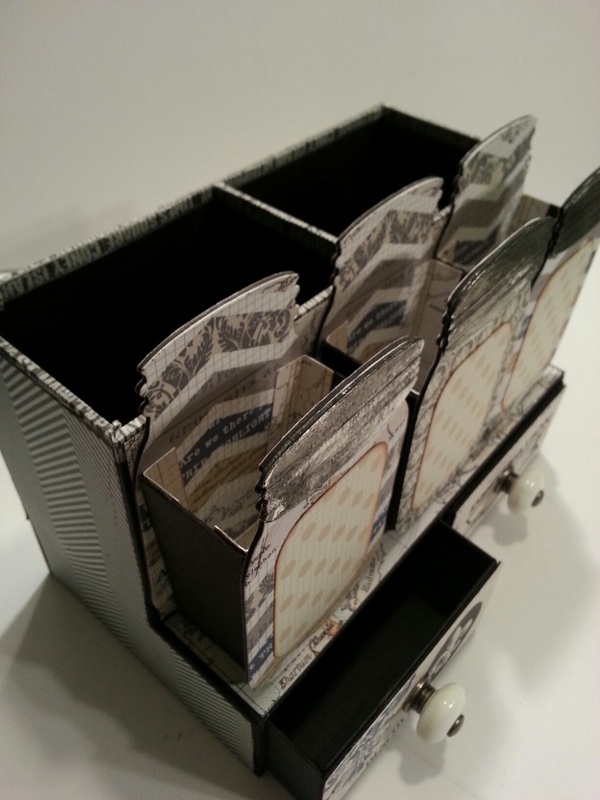 I hope you liked the project, Eileen's Canning Jar Organizer. I know I will use it on my desk and I hope you make one for yourself. I will not be writing a tutorial on this project, however I did record the Ustream tonight and gave out all the measurements. You can check that out HERE. Thank you once again for coming over! I love this project and really want to make it (when I can afford the die). Thank you so much for doing the wonderful Ustream shows. I'd also like to say a huge thank you to Cesar for helping you out last night - it's much appreciated! So dang cute!!! Love this die! Got to get busy!!! You make the most amazing things - love this! LOVE this project. Lord knows I NEED more organization ideas. Thank you so much for the Ustream showing us how to make this project! You truly are The Chipboard Cowboy!! This is such an awesome useful piece. I just love it. Huge thanks for coming up with this one!!!!! Wish I could make your shows live, but the older the girls get, the more impossible that becomes. Grandkid - got to love them but they sometimes conflict with my craft schedules. Great project. These are straight up fabulous! 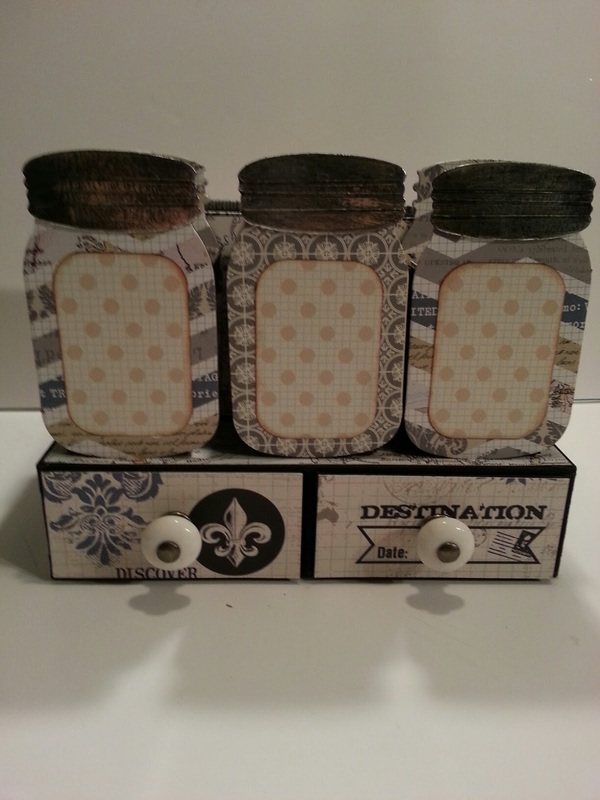 I love, love, love that you turned a die cut in to dimensional, practical piece that is so attractive. Only you! Love watching you make these! So, great, can't wait to have mine on my desk! ;o) Thanks so much! 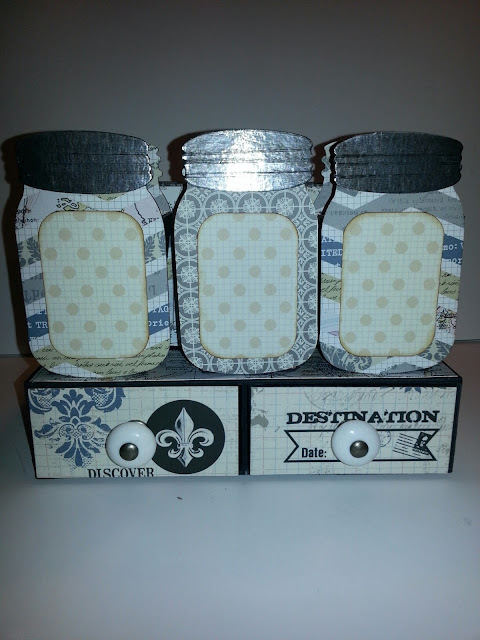 Love how you used Eileen's canning jars to create storage Jim! I can't resist an art piece that's Aldo functional :). It was great to meet you at CHA!